Amnesty International voted down a motion at its annual general meeting which urged the human rights group to tackle the rise of anti-Semitism in the UK. 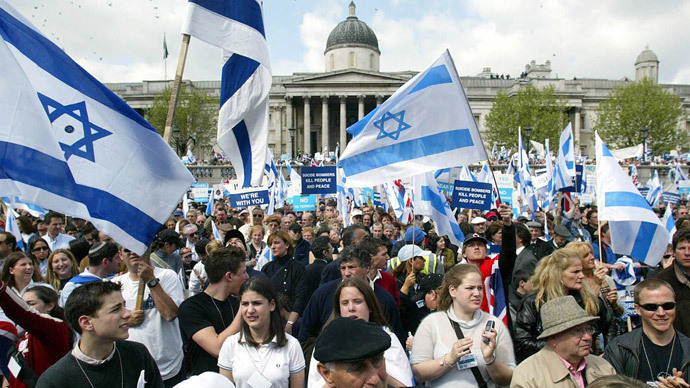 The Jewish Chronicle reports that the international NGO decided to not support a campaign to find solutions to anti-Semitism in Britain at its annual conference on Sunday. It was tabled by member Andrew Thorpe-Apps in March, who said it was the only motion that was rejected at the conference. “I was aware that the organization has been outwardly pro-Palestine in the past but it hasn’t stood up for the Jewish population and I think it would be good if they did that,” Thorpe-Apps said. In response, Amnesty International UK press officer Neil Durkin explained to the Jewish Chronicle that “After a really interesting debate where everyone condemned discrimination against all ethnic and religious groups, our membership decided not to pass this resolution calling for a campaign with a single focus. “Amnesty International fights against discrimination in all its forms, and will continue to do so. In February, Amnesty International published an anonymous 85-page report condemning Israel. Reacting to the publication, the Jerusalem-based charity NGO Monitor claimed that several Amnesty members were full-time anti-Israel activists before joining the human rights group. That same month, a report revealed that anti-Semitic incidents reached a record level in the UK last year. A report by the Community Security Trust said the number of incidents had more than doubled to 1,168 in 2014. It is the highest figure since the trust began monitoring in 1984.